This past Monday in San Francisco, an Uber driver had an exhilarating adventure that made headlines. The GPS on his Uber map instructed him to steer down a flight of stairs. Thankfully no one was hurt. Apparently, the driver (who insisted on being identified as “Fred”) made a wrong turn outside a Safeway store when he was traveling down Market Street. He stated that he’s been driving with Uber less than a year. The story continues to take a turn for the worse (no pun intended) when a tow truck unsuccessfully hooked up to the car and attempted to rescue it from its awkward position parked on the stairs. The cable snapped, causing the car to propel into a trash can, then a fire hydrant. 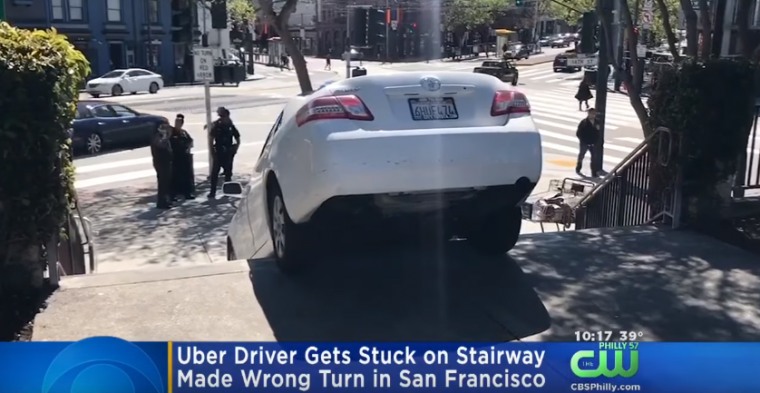 Uber is investigating the incident, especially since the same GPS-inspired mishap happened a few years ago back in 2014, when a Vina Cab driver turned down that same set of stairs. 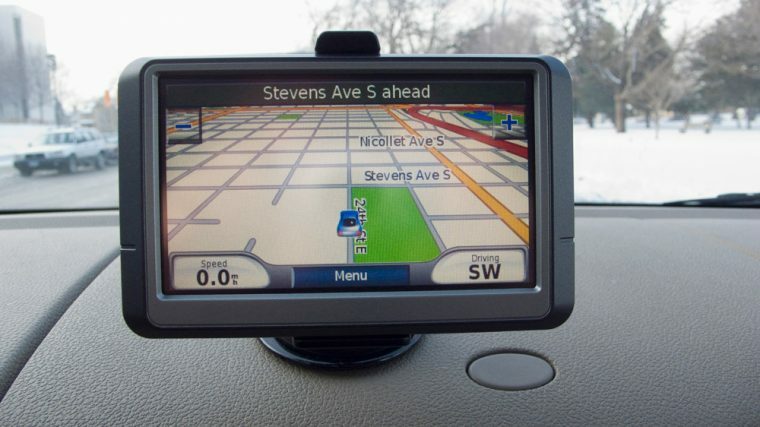 Though the rideshare company is currently slogging through the aftermath of the fatal self-driving Uber vehicle crash, it might also want to initiate a side project of putting its drivers through a basic GPS/navigation training system. It might also want to consider using non-Uber navigation apps which tend to be more accurate. Waze, Navmii, and Google Maps are just three of the effective apps that users recommend. In the meantime, here’s a video that the company should consider including in its GPS/navigation training program if it implements one.